We will continue to make a real impact on drivers globally, helping them save time and money while making everyone's daily commute a bit more efficient and fun. 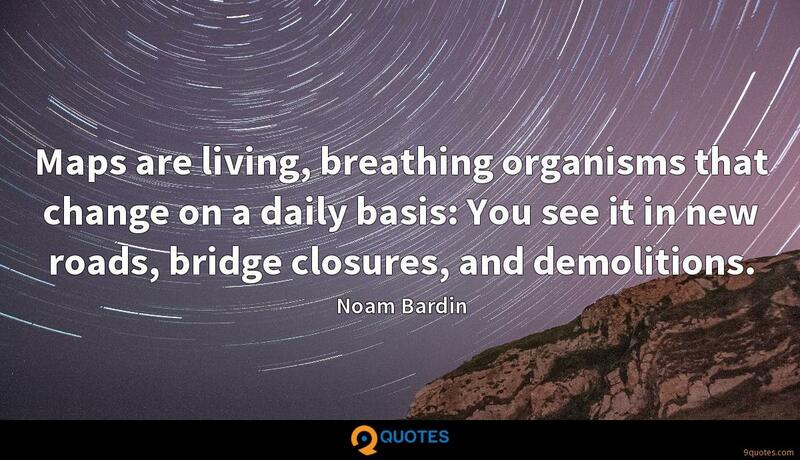 Noam Bardin Quotes. 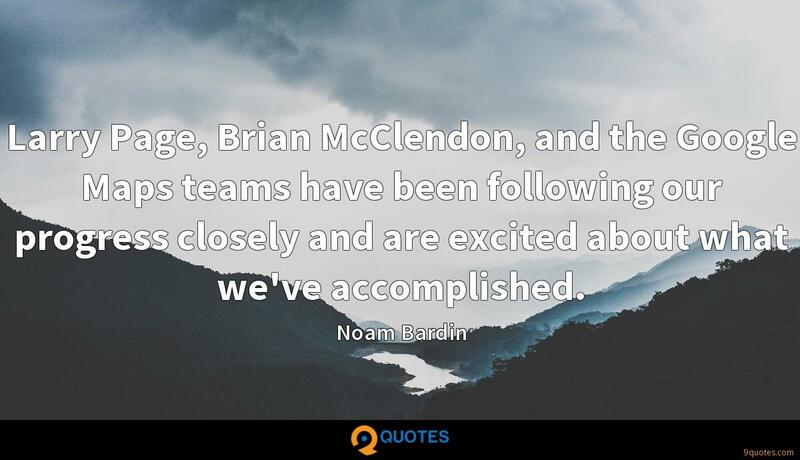 9quotes.com, 2018. http://www.9quotes.com/quote/noam-bardin-593811, accessed 24 April, 2019. Car ownership as we know it will change. 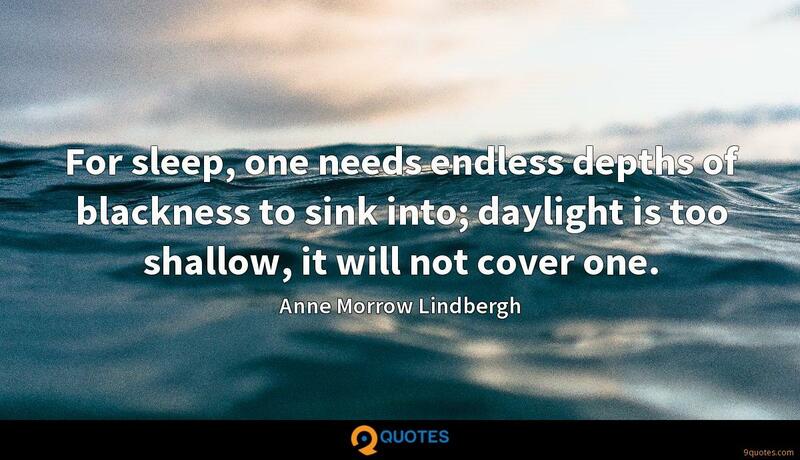 The promise of car ownership of the past, the freedom of open roads... the reality has been more of a burden. 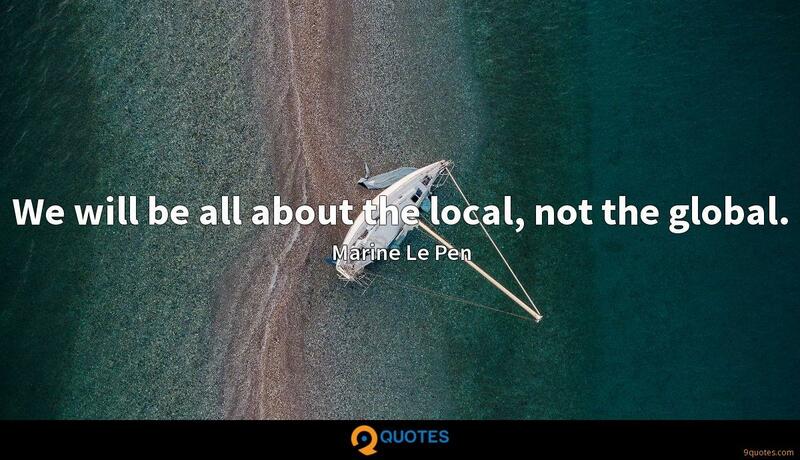 We will be all about the local, not the global. Anyone who has read my books will know that I don't tend to use guides when I am travelling. It's not a pride thing, but it is certainly a fact. If you look at it now from the Google perspective, how do you make billions of dollars? Hundreds of millions doesn't count anymore; how do you make billions? And that's the question we've been tasked. Is this a Google-scale business, or is this a nice business for a startup? Larry Page, Brian McClendon, and the Google Maps teams have been following our progress closely and are excited about what we've accomplished. Using Waze, they're saving time on the road, money on gas, and emissions into the environment - a proposition they really can't turn down. But more than that, drivers use Waze because they feel they are part of a community, working together to overcome the global headache that is traffic. Maps are living, breathing organisms that change on a daily basis: You see it in new roads, bridge closures, and demolitions. 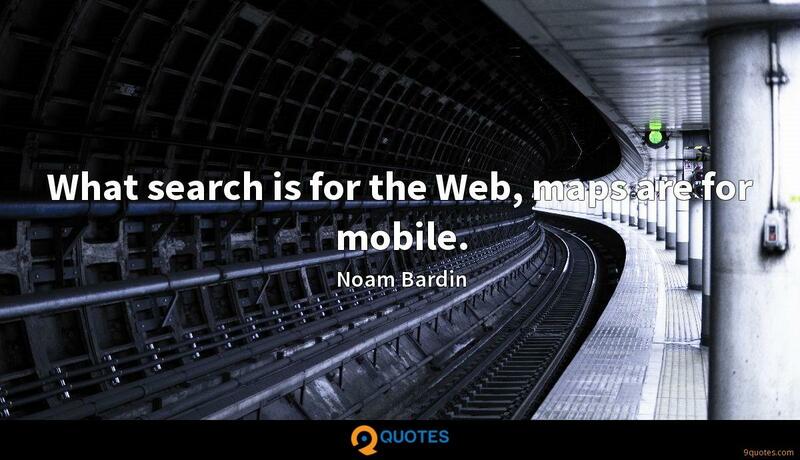 What search is for the Web, maps are for mobile.